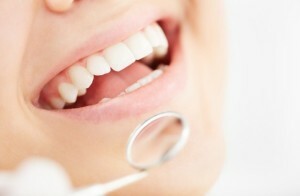 It is estimated that half of adults in the United States suffer from a form of gum disease. This infection develops in the gums due to bacteria that are found in plaque and tartar accumulations. Your first line of defense against the infection is to keep the buildup to a minimum through oral hygiene and preventive care from your dentist in Williamsville. However, if you are prone to the infection or have a heightened risk, you have another option to help the health of your gums. Vitamin C is vital to protecting your gums from damage. How Does Vitamin C Help My Gums? Although poor oral hygiene is the primary cause of gum disease, it can also be influenced by your diet. By making simple changes to your nutrition, you can improve your gum health. Of the most important nutrients to include in your diet for healthy gums is vitamin C.
Vitamin C produces a wide range of health benefits as it aids the immune system. While many tend to believe vitamin C is only essential for fighting off illness, it can protect several other areas of health as well. As the vitamin boosts the immune system, it is effective for helping with deficiencies of the immune system, cardiovascular disease, prenatal health issues, eye disease, and aging skin. Since many chronic conditions, like cardiovascular disease, are linked to gum disease, increasing your vitamin C intake could help to protect your oral and overall health. Adequate levels of vitamin C help your gums fight the bacteria responsible for gum disease. By doing so, this can help to treat and prevent many of the conditions that can result from untreated gum disease, including cardiovascular disease. When the body is depleted of vitamin C, it can lead to bleeding gums, which contributes to gum disease. This occurs because the vitamin is vital for keeping the gum line healthy by strengthening the body’s ability to fight infection. In addition, it helps to produce the connective soft tissue that keeps the gums healthy while also protecting the root structures of the teeth. This prevents decay-causing bacteria to protect oral health. It is recommended that you consume 500 mg of vitamin C each day. However, most people are not able to receive this much through their regular diet. In fact, it is estimated less than 20% of adults receive enough vitamin C each day. As a result, you may need a daily supplement or make changes to your diet to eat more vitamin C rich foods. While the vitamin is essential for oral and overall health, you need to be careful not to consume too much. Just as low levels of the vitamin can be dangerous, so can excessive levels. Too much of the vitamin can lead to increased anxiety and other issues. Where is a Dentist Near Me for Gum Health? If you are at risk for gum disease or are managing the condition, speak to your dentist at Amherst Dental Group to learn more about the benefits of vitamin C for your gum health. Contact our office today to schedule your consultation.